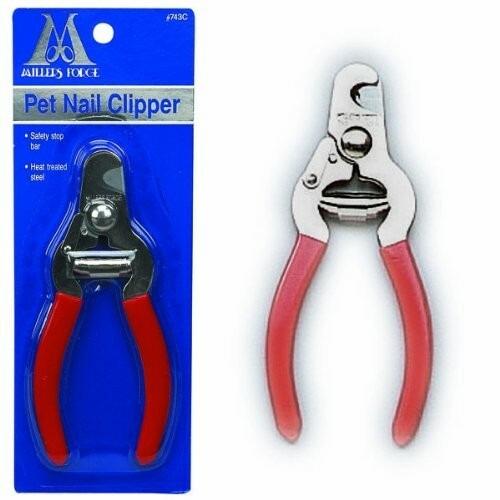 The Red handled Millers Forge dog nail clippers are a must have for every dog owner. 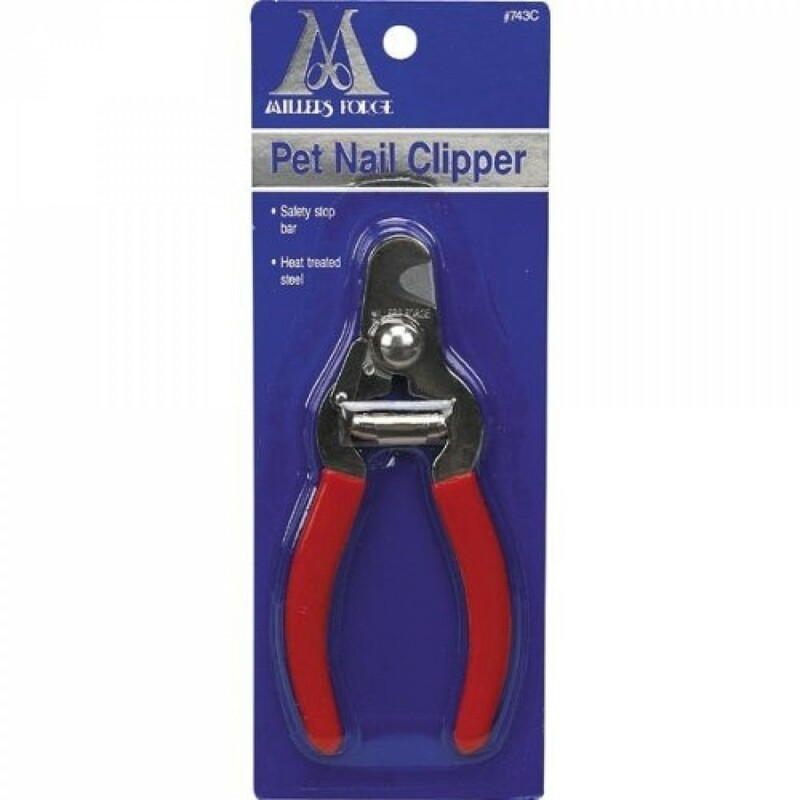 These clippers are made from heat treated stainless steel and have sharp cutting blades with a spring loaded-cutting mechanism. This means a smooth and clean cut with less noise and more comfort for your dog. It measures 13cm x 6cm and are easy to maneuver. 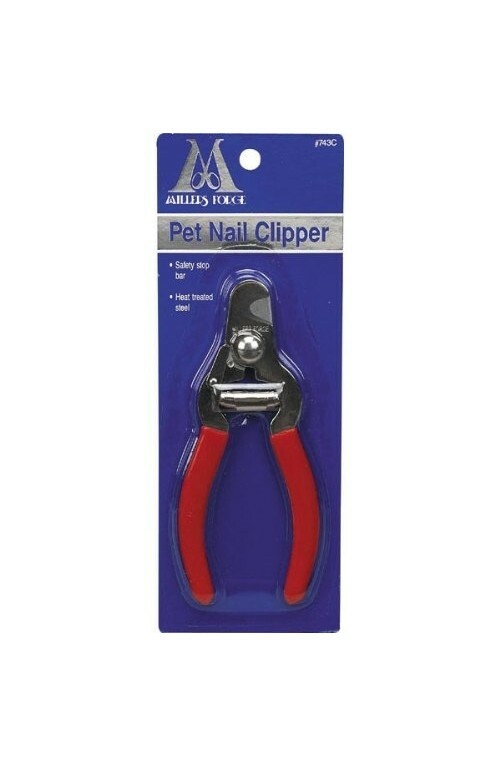 Suitable for most breeds of dogs apart from very large/giant breeds. 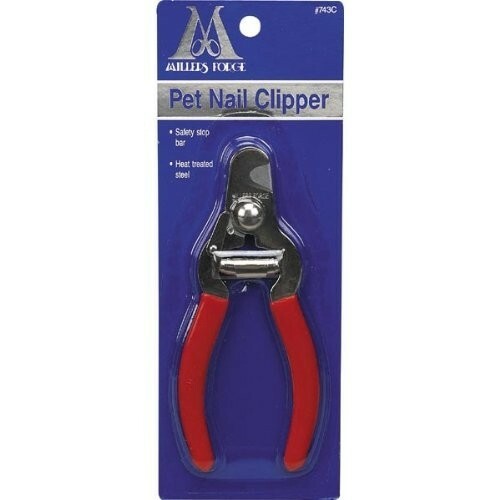 The nail clippers have a comfortable red plastic grip and a built-in safety stop guard. An easy to use latch keeps the clippers closed when not in use, protecting the blades. Millers Forge originated over 40 years ago and are still one of the most popular clippers around. Try it for yourself!